Now even the heaviest packages can withstand rough handling. 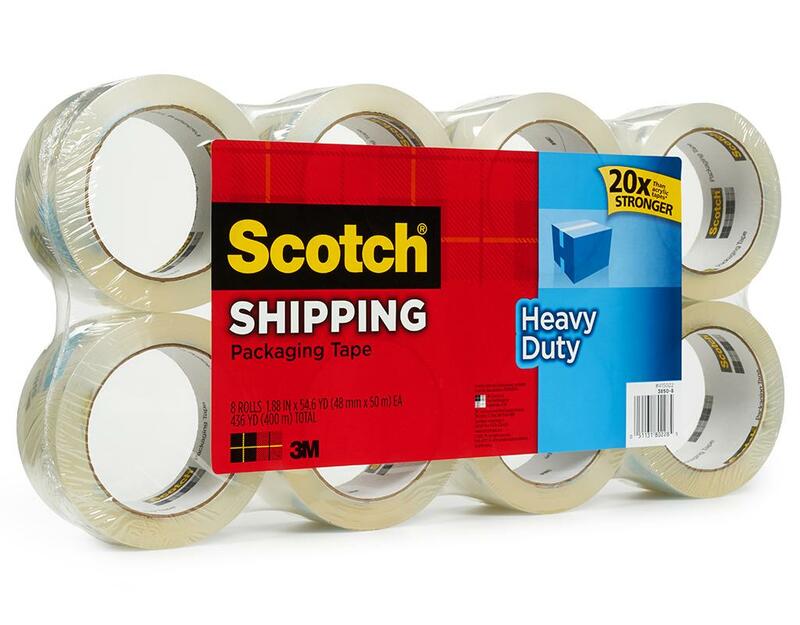 With 20 times the strength of acrylic tapes, Scotch Heavy Duty Shipping Packaging Tape seals seams with one strip and keeps boxes closed. 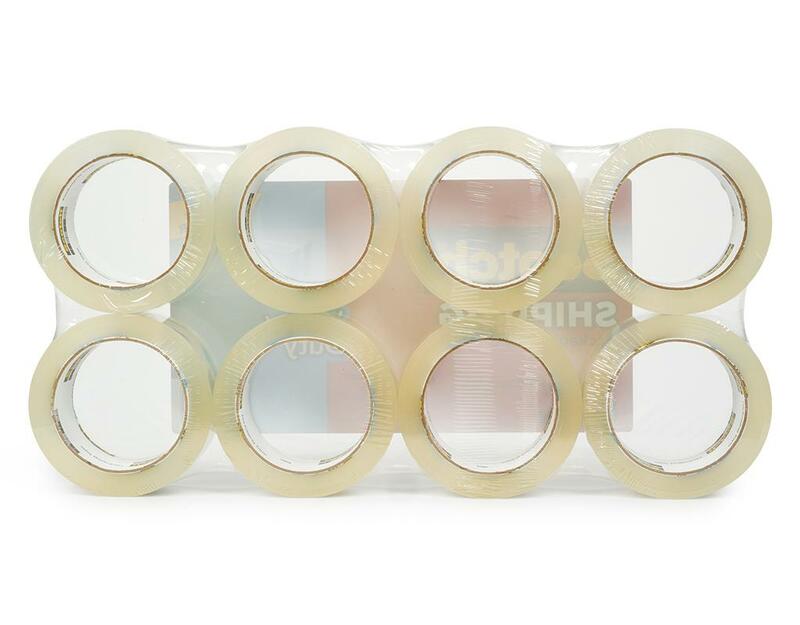 It also resists slivering, splitting and tearing. Meets US Postal Regulations for standard packages. 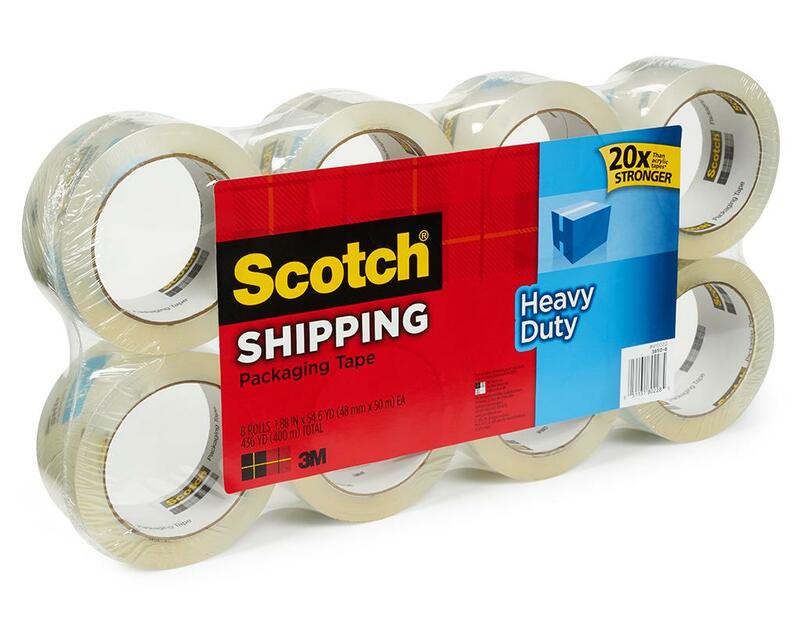 Scotch packaging tape helps ensure that your mailed letters and boxes remain secure in transit. Secure packages are less likely to lose pieces or receive damage during shipping. 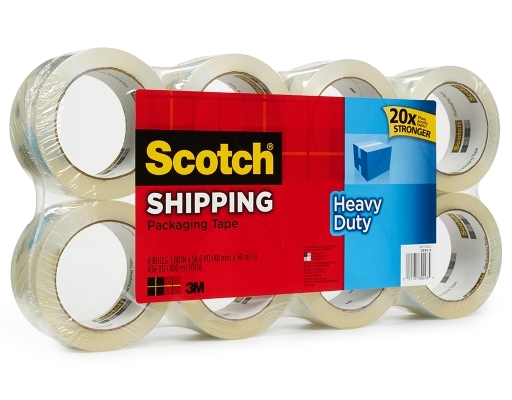 High Tensile Strength: The high tensile strength of Scotch packaging tape helps keep boxes safely closed. 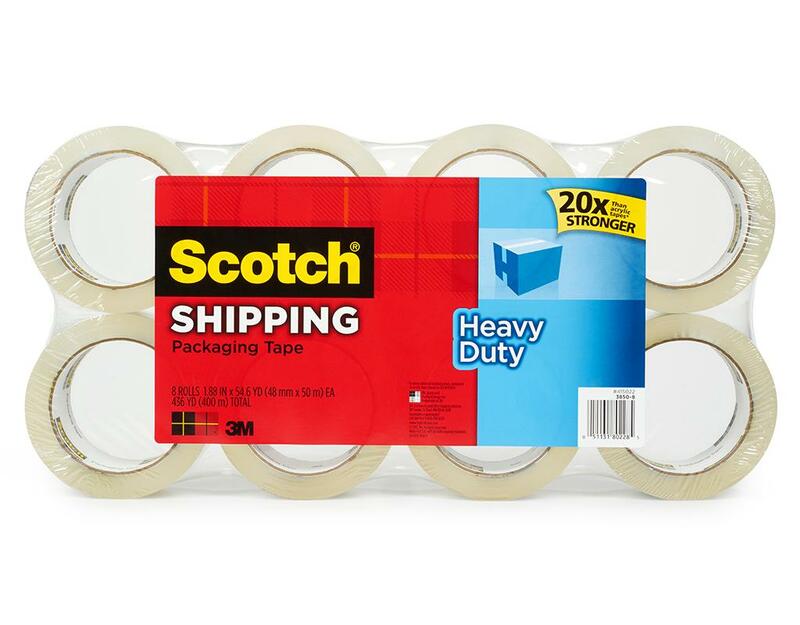 Each roll has a tensile strength of 47 lbs. per inch. 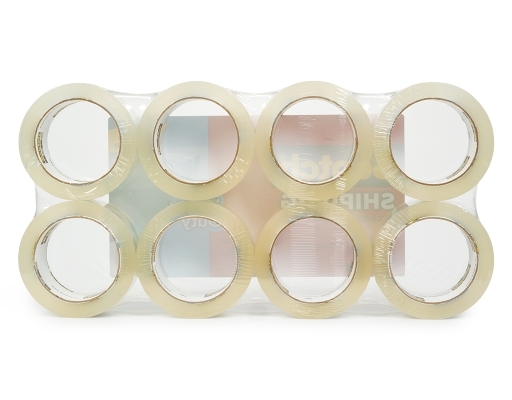 Simple Application: Simply stretch out a length of the tape and apply directly to the product to create a quick seal. 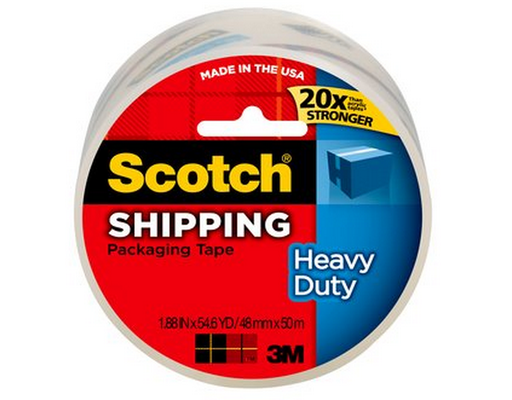 For even faster application, try a tape dispenser. 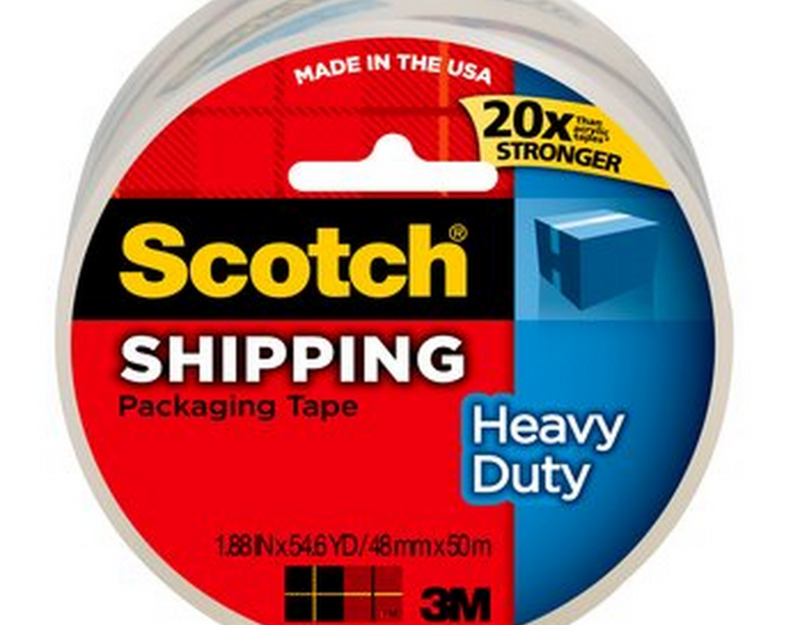 Instant Adhesion: The adhesives on each piece of Scotch packaging tape allow instant adhesion to many surfaces. 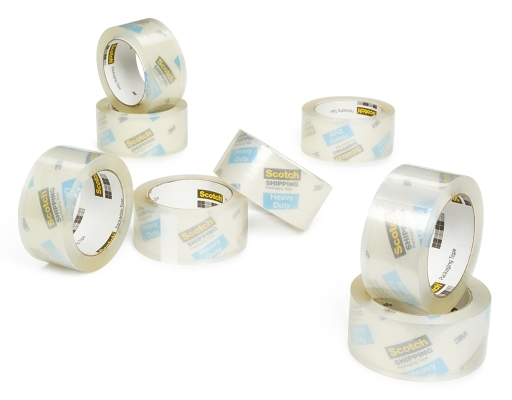 Once applied, the tape resists splitting, bursting, and the damaging effects of moisture.